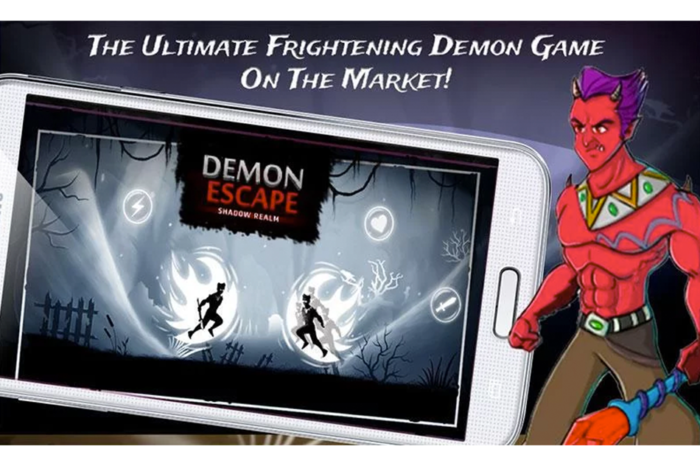 Action games are fun, and Demon Escape is the epitome of it. What’s creepier than walking in the deep hours of the night, only to find out that you’re trapped by shadow demons? Well, that’s exactly the kind of feeling that you get while playing Demon Escape. You’re trapped, and in the middle of screaming your lungs out, you have to whip up an escape plan and save yourself. Your only way out is to face your fear by facing the shadow demons, vanquishing them before they gain an advantage over you and obviously kill you first. Think of it as some sort of paranormal warfare, where evil and good are facing off. You’re the only combatant in this case representing good, and in the event that you lose the war, darkness prevails and destruction ensues. The shadow demons you’re fighting against are NOT fake, but real spiritual beings with the intention to destroy humanity, and apparently you’re the only thing standing in the way. That’s what the Demon Escape game is all about, except with a deeper plotline and different twists that make it even more fun. Developed by Golive Studios, this Role Playing Game is the only one of its kind. Of course there exist other horror games, but with Shadow Realm, every game means a new storyline. How? You ask. Simple, the company releases a new episode from time to time, with an entirely new story and unique twists on regular basis. So with every choice that you make, you get to unravel a different twist, that will feature a unique storyline, and which is very different from the ones you’ve relished in the past. You get to play the game as either Neel or Laal, the two demon hunters that you’ll be expected to choose from. You mission is one—destroy the Supreme Shadow demon. He’s the demon in charge and apparently one in control of virtually everything in the demon land. The problem is that he’s being protected by an endless list of shadow demons that you have to go through to get to him. Keep in mind that all the shadow demons are privy to your plans and are set to destroy you before you get a chance to carry out your plans. All these demons are fierce, and killing them is definitely NOT going to be a walk in the park. As a matter of fact, the only way to destroy them is to wield the magic bow that you happen to be in possession of. This magic bow uses arrows that you’ll be collecting by going through turns. Your life is NOT threatened by the shadow demons alone, but also by the evil shades that you have to keep on darting. Arrows do fire on their own whenever you’re charging towards an evil shadow, and that’s the only way you kill a demon shadow. Meaning you have to take risk to destroy a demon, and while at it, remember to dodge the evil shadow. Basically, you get to win the game or accumulate more point by being superfast both in decision making and attacking. There’s no turning back in the game or lurking in just one place. It’s always a forward move for Neel. You use up and down swipes to make him dodge the shades and switch levels. The game is simple and one you’ll definitely be playing all the time and for longer durations of time. You’re also going to love everything about it—from the horror themes, the special effects and shining arrows, to the stories narrated and the different twists.